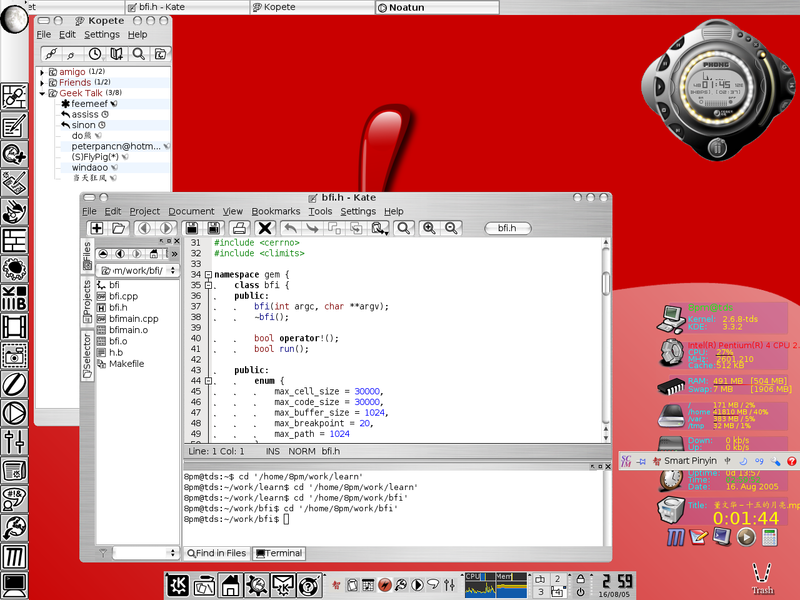 Debian Linux - sarge/testing. 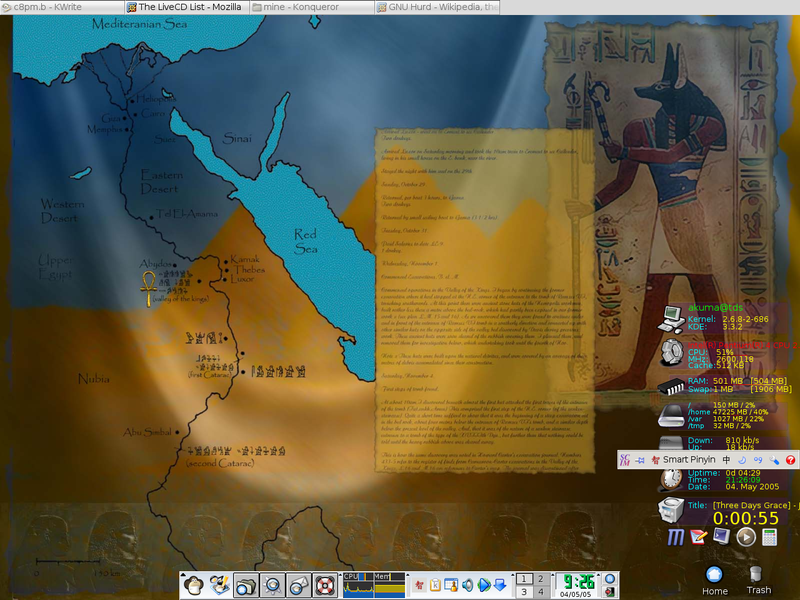 KDE as my major desktop environment. 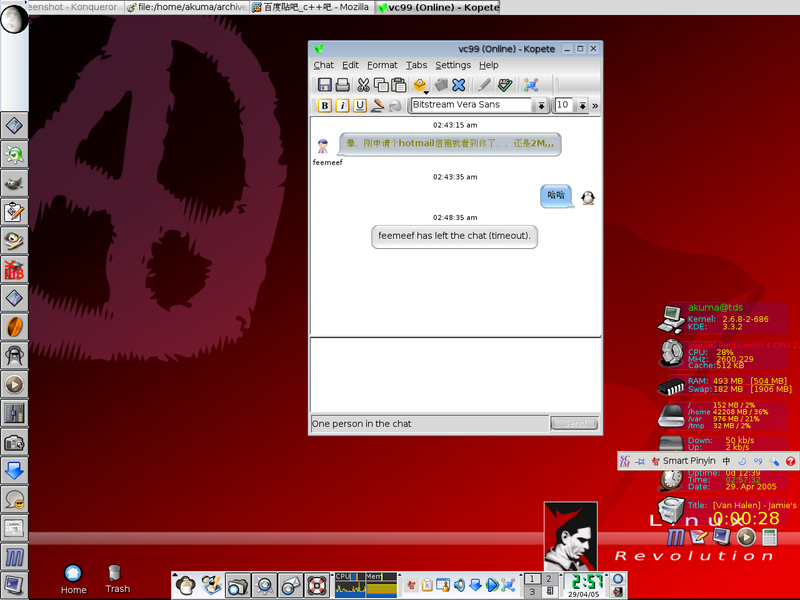 Kopete for Instant Messaging, SCIM for typing Chinese. Kate is more than an editor. To be honest, I cannot remember the name of that media player.